In addition on Sunday 5th May Ian Smith and Tess Wilmot are opening their garden near Ivybridge. This is a chance to visit their ‘Resourceful Permaculture Garden’ which provides seasonal produce to lots of project and people particularly in Plymouth .Places are limited so contact Tess directly if you would like to take part. To celebrate International Permaculture day two permaculture events are planned for the first weekend of May. 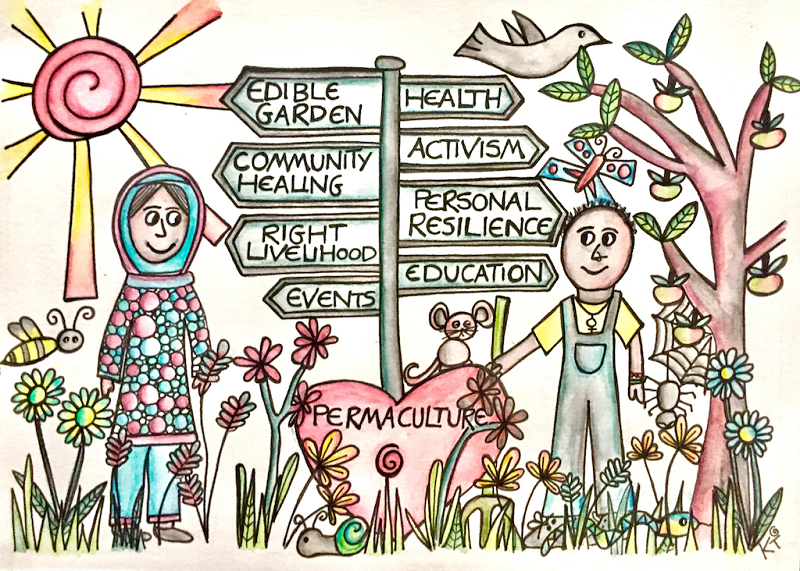 The first is a Permaculture Gathering in Plymouth on Saturday 4th May 2019 at Engage Church on St Levans Road in Plymouth. The gathering runs from 10.30am until 4pm. This is a free event to link up with other folk involved in permaculture across the city and the south west. There will be skills sharing workshops and presentations to inspire and empower us with positive solutions in challenging times. There will be a session called ‘What is Permaculture!’ for those who are curious to learn what it is all about. Please get in contact if you would like to offer to run an activity, workshop or share information about your permaculture project. This event is funded by the Permaculture Association through their Ambassadors project.